Startup is one of the buzz words of our technological age. These tiny initiatives by young and the old have become the cradle of innovation. 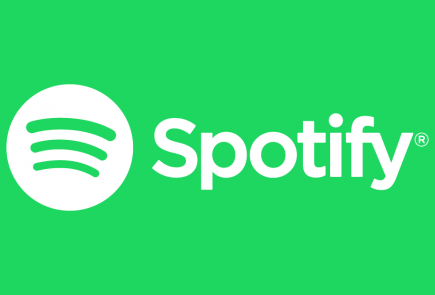 Every other day, we hear the news of a startup acquired by a big brand to engulf their innovative creations into their systems. Giants like Google, Facebook, Microsoft and Apple are always on the lookout for a start-up with a unique offering. The buzz has also led to a successful show called ‘Silicon Valley,’ which delves into the inner workings of the Silicon Valley’s bloodsport of the startup game. India with its massive technologically trained professionals is untouched by this revolution and many incubators have come up which provide the assistance to the budding entrepreneurs to create the next big thing. We decided to look into the world of startup incubators and who would be the right option for you, if you have an idea that can change the world. Here are a select few which are spearheading the startup revolution in India. Probably the most prominent of all, the Startup Village began offering its services in 2012. It is a non-profit business incubator which works towards providing assistance to budding entrepreneurs in the form of office space, hosting services, business guidance and even provide legal services. The business incubator plans to set up over 1000 start-ups over the coming decade. Startup Village is supported by public and private investments. Along with the Kerala government, the village also offers an all expense paid trip to the US for select young entrepreneurs. They provide seed fund and Angel fund to startups. 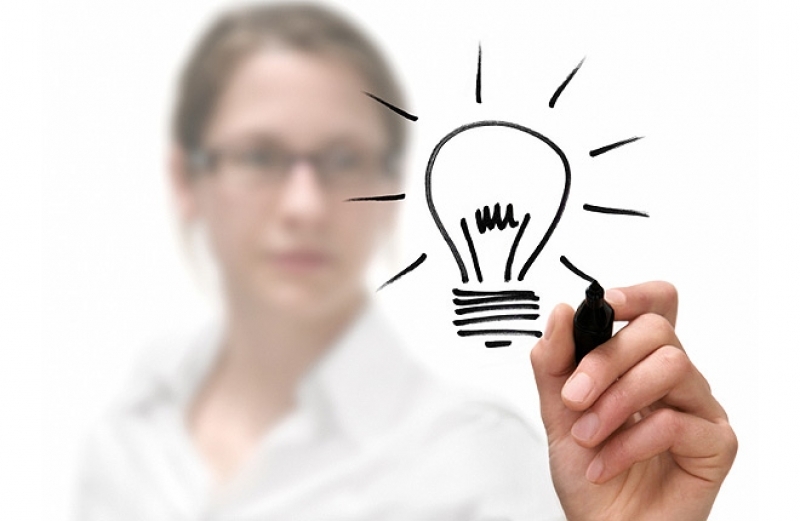 The primary focus of the incubator is student startups and telecom innovations. Setting up your startup at the Village will also lets you use the office spaces, high-speed internet and interactions with like-minded entrepreneurs who are working towards the next-generation innovations. Vinod Khosla, the co-founder Sun Microsystems, partnered with Srikanth Nadhamuni to form Khosla Labs in 2012. The incubator works in the fields of mobile payments and banking, retail efficiency, healthcare delivery and big data analysis. 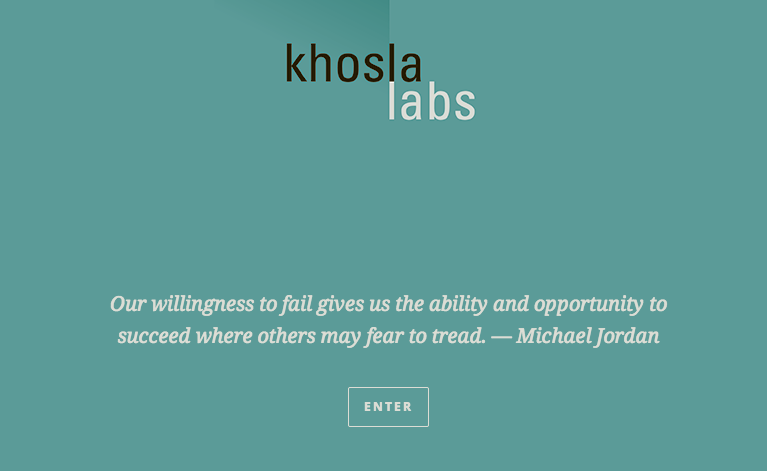 Khosla Labs team of entrepreneurs comes up with several ideas to test and experiment. These projects get prototyped through in-house design and technology teams. 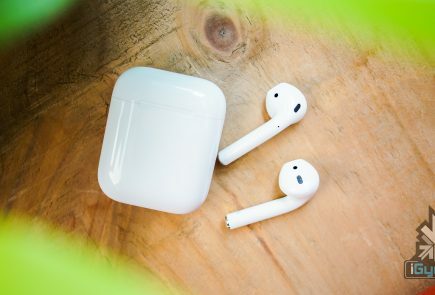 These prototypes are then pilot tested on the ground to get feedback and market validation. 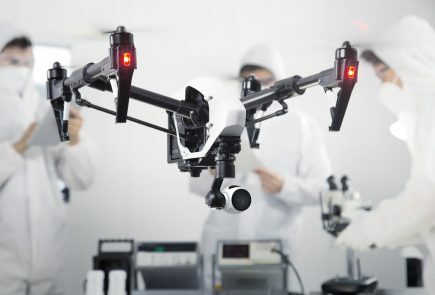 Based on the feedback, Khosla Labs provides seed money, and the project becomes a spin-off venture under an entrepreneur in residence (EIR) at the labs. If your goal is to change the world through societal developments, then there is an incubator for you too. Start up! is an Angel investor, incubator and consultants for social entrepreneurs. A lot of folks have understood the limitations of dependency on government for active social change. Hence, many are working towards setting up their own social enterprises to bring about ground level sustainable developments. It assists the budding social ventures by training them in business practices and with the help of its networks, helps to scale up these ventures. Start up! has aided many ventures to grow from thought to reality. They have helped social ventures in a variety of fields like healthcare, education, the disability sector and even helped to form collaborative workspaces for freelancers and creative professionals. Start Up! also offers fellowships to students and young social entrepreneurs to work with their clients and learn by getting their hands dirty in the field. Amity is one of the top league private education institutes in India. Its innovation incubator is supported by DST, Ministry of Science & Technology, Government of India. 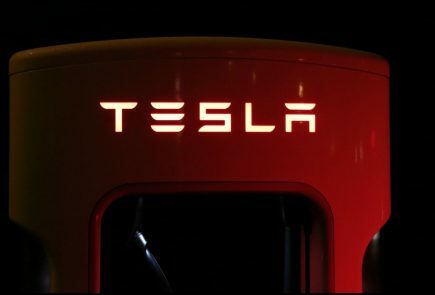 It is registered as a not-for-profit organisation, and it brings together industrialists, venture capitalists, technical specialists and managers to help entrepreneurs realise their dreams. 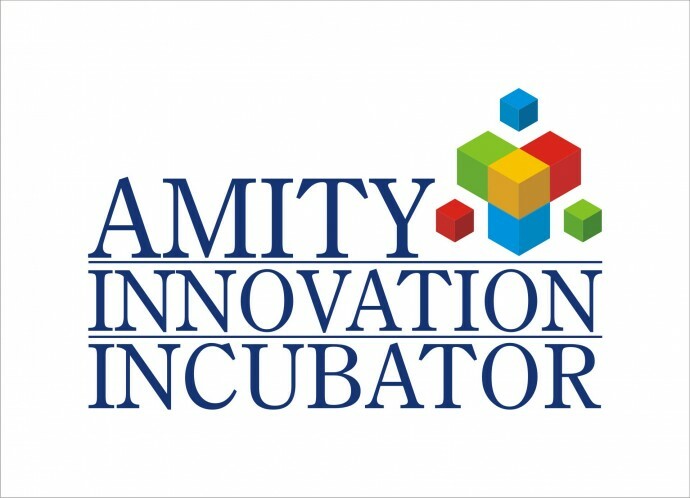 Through its virtual incubation initiative, the company offers support to startups that cannot access the Amity campus physically. Apart from the barrage of essential services, the company also offers server spaces to its incubates. It also lets the incubates hire interns from their massive student base. Started in 2006, Seedfund has established some of the big name brands on the internet sphere. 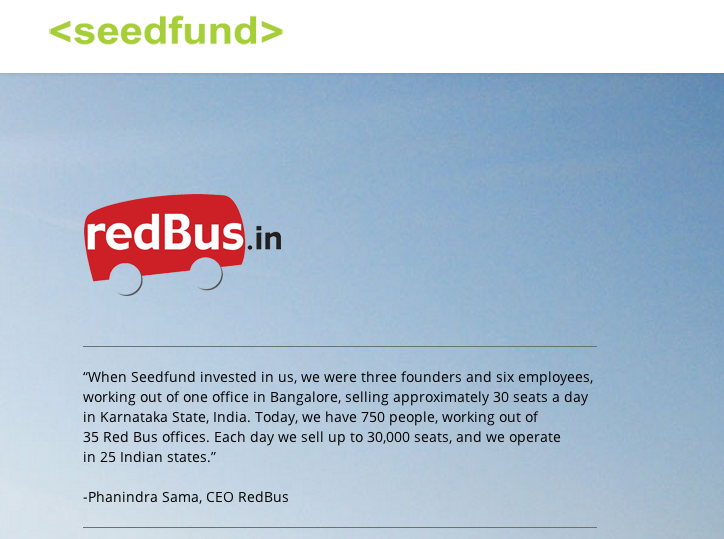 Brands like Redbus and Carwale began as hatchlings at Seedfund. It has invested in over 31 companies and is continuing to provide its services to more who arrive. Seedfund assists you in the micro sense, like choosing your logo to the macro business models for your company. With so many options available to you, there is nothing stopping you from making your ideas big except your own procrastination. If you think you have the next big billion-dollar idea, then get in the game and get making, the future belongs to the creators.